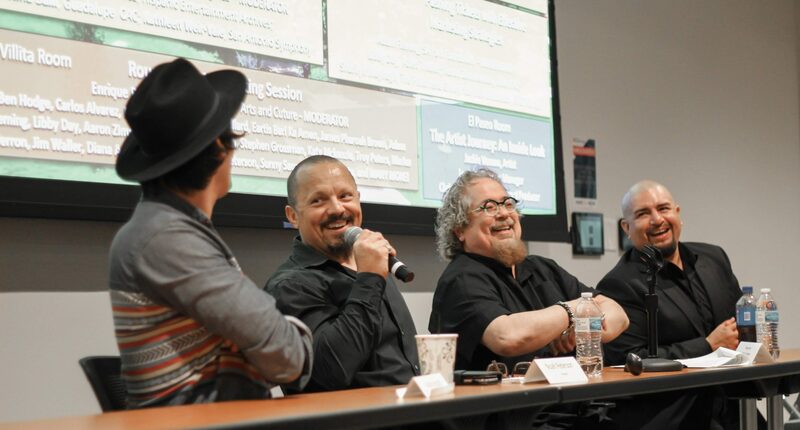 The NAMM Foundation in collaboration with NAMM GenNext will be hosting a drum circle during Music Biz Day at 10:40 AM at the Miller Plaza of the UTSA Downtown Campus. The drum circle will be led by Kevin Cooley. In 2008, Kevin founded Drumming Around; a company dedicated to providing drum circle activities designed to meet specific community-building, corporate training and wellness goals. Drumming Around programs can be seen in retirement communities, public and private schools, conference rooms, public and school libraries, church retreats, community centers, and wellness groups. The drum circle is open to anyone in the community. RSVP to Music Biz Day is required to participate. Limited amounts of drums are available, however, you can bring your own drum if you have one.